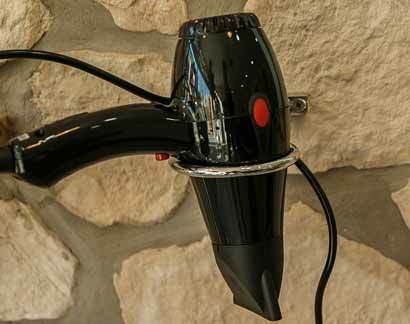 Hair dryers are one of the most popular gadgets to date. In fact, its something that a lot of consumers use daily. However, when it comes to purchasing a new dryer, not many people know what they should look for. Here are a few questions that you should ask yourself when buying a hairdryer. Drying your hair can be a time-consuming process. This is especially the case if you are someone who has long hair. This is why it’s a good idea to look for a hair dryer that can offer a short drying time. The trick is to search for a dryer that has an extremely powerful motor because the motor controls the air flow. You can tell how powerful the motor is by examining the number of watts the hair dryer has. Those that have 1,300 to 1,800 watts can offer the power you need without doing damage to your hair. Does it feature several settings? Another frustrating thing about certain hair dryers is that there are some which only offer a few settings. Sure, this makes drying your hair after a shampoo pretty simple and straight-forward process. However, it completely takes away your options. You have very little control over the drying process. And this can be a huge process if you cannot control the temperature that the hair dryer is putting out. So make sure you look for a hair dryer that has more settings than just on and off. At the very least, there should be several heat settings that you can choose from. For instance, quality hair dryers will sometimes offer a cool setting.Variable settings. Nearly every hair dryer has at least two heat settings. This ensures that you will be able to seal your hair cuticles which helps you to avoid damage in the long run. This setting can also ensure that your hairstyle lasts longer and that it retains its shine. Just keep in mind that your hair dryer needs to leave room for versatility. Does the hair dryer feature an ergonomic design? When shopping for your new hair dryer, you should take into account its design. It needs to be something that you can handle very easily and is able to manipulate without any physical strain. Is the dryer lightweight? Does the design seem as if it would tire out your arm? Does it seem to offer a sturdy grip? Is the handle curved? Does it seem well balanced? A great way to learn more about how easy a dryer is to handle is to check out the customer reviews. Pay attention to the pros and cons. Is there a certain ergonomic problem that keeps coming up in the conversation? All of the buttons should be extremely easy to reach and none should be easily hit by accident. 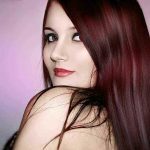 While many people may not consider retractable cords to be necessary, very people understand that the life of your hair dryer has a lot to do with how well you take care of the cord. You see, the more you have to manipulate the cord, the more wear and tear it suffers and the sooner it will need to be replaced. Retractable cords help to cut down on all the unnecessary wear and tear because you never have to worry about coiling the cord after each use. Retractable cords make for easy storage. If you cannot find a hair dryer that offers a retractable cord, look for those that promise easy storage. Does it come with attachments? It’s very important that you have access to attachments. Some brands like Elchim hair dryer comes with some attachments. Not only do attachments give you more styling options, but they also help to concentrate the air flow and helps to ensure that all of the air blows directly onto the areas you need it to. If you struggle with flyaways and like to use a hair brush when drying then attachments are a must-have. If you are someone who prefers to wear your hair in curly styles, then be on the lookout for dryers that come with diffusers. As you can see, there are a lot of things to consider when purchasing a hair dryer. This is especially the case if you want more control. However, with a little time and attention to detail, you can ensure that you find the best model for you. 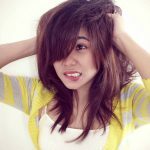 For Newbie FAQ: What is Straightening Balm?